Interested in sporting the latest Habs gear to your next game? Visit the Habs Gear page and pick out your favorite design. The Club Sportif Annual General Meeting will take place on May 6th at 7:30PM in the at the Hylife Centre. Registration open online from March 1 - 7th. 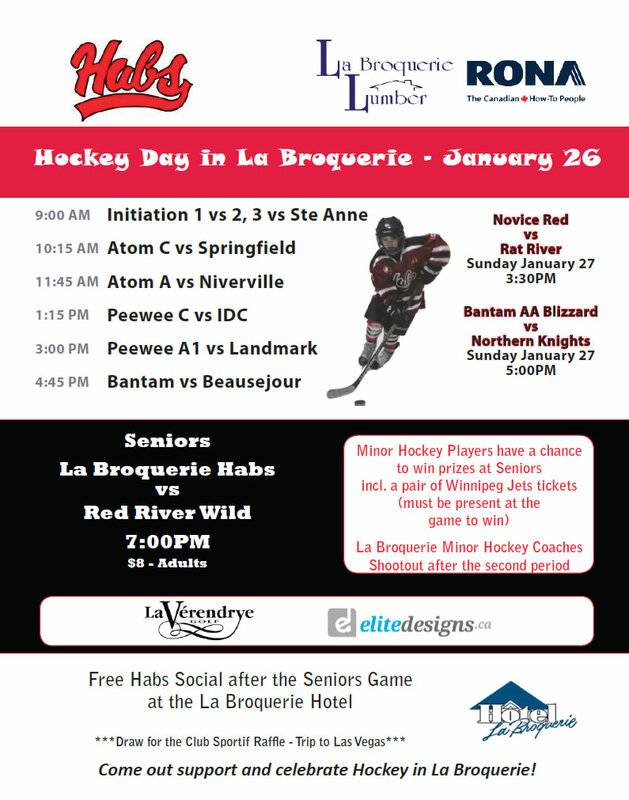 La Broquerie Minor Hockey will be hosting the first Oscar Gagnon Memorial Atom Hockey Tournament on November 23-25th. Come out and enjoy a great weekend of hockey! Team Pictures will take place on Tuesday Oct 23 starting at 5:30PM. We will need everyone's cooperation for this evening as we have limited time and must get through everyone. Please ensure your child has RED socks. Pictures will take place in full equipment. If you need a form for pictures please contact your manager or click here.